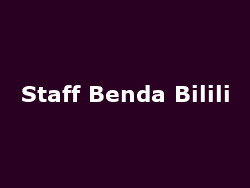 Congolese band Staff Benda Bilili [that's easy for you to say! - Ed] are to make their debut appearance in the UK this November, with a brace of dates, kicking-off at the prestigious Barbican in London on 10th November, ending at Oxford's O2 Academy ten days later. The band are all disabled - contracting polio as children - and get about in home-made motorized tricycles in their "homes": the grounds of the Kinshasha zoo. These guys literally give you the sounds of the streets of the Congo, blending roots music, blues and Cuban-esque rhythms. The name 'Staff Benda Bilili ' means 'look beyond appearances', and that's what the band force you to do with their infectious music. Their acclaimed debut album 'Très Très Fort' was recorded in the open - when a nearby bar was deserted, allowing them to hookup a MacBook and a few microphones - with the guys going at it on their chosen acoustic instruments/ voices. Heart-tugging melodies ride on sweetly ragged vocal harmonies; the rhythm section and guitar work sway between rumba, soul, funk and blues. Extraordinary story, extraordinary music. Tickets for their November UK tour are on sale now, starting at £10 (£20 for the Barbican date).